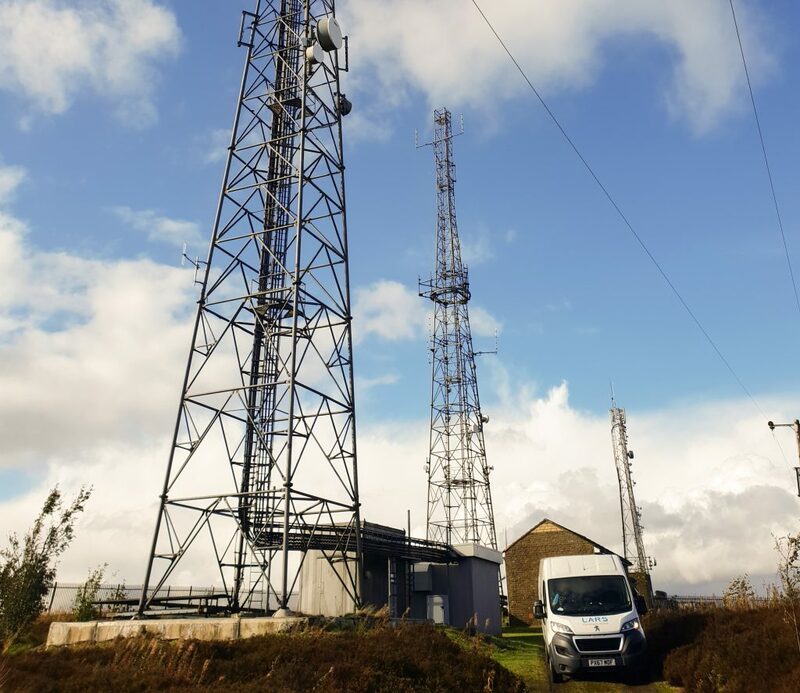 Early in 2017, the Holme Valley Mountain Rescue Team (HVMRT) took the decision to migrate to digital VHF and install a Tier 2 Digital VHF System, in line with Mountain Rescue England and Wales (MREW), and UK Search and Rescue (UKSAR). The Holme Valley Mountain Rescue Team is based in Marsden, near Huddersfield in West Yorkshire and is a volunteer-based search and rescue organisation. The team is responsible for any callouts in the southern half of West Yorkshire and typically averages between twenty-five and thirty incidents a year. In total, there are over forty members of the team who are on call twenty-four hours a day, 365 days a year, to assist those who may find themselves in difficulty. Once the decision had been made to install the new system, and funding had been secured, the next step was to consider potential sites. One such location was Wholestone Moor, where there was a mast owned by West Yorkshire Police. Following a series of negotiations, HVMRT was able to secure a spot on the mast on a peppercorn rent basis. With the funding secured and the location confirmed, the HVMRT sought several quotes from suppliers able to carry out the installation of the equipment. A recommendation led them to LARS and we were able to provide the team with the best value quote. For the LARS team, this was a straightforward installation job, but nevertheless a very important one. UK Mountain Rescue teams work tirelessly in a bid to ensure the safety of those who find themselves in trouble in inaccessible places. It is entirely volunteer-based and comes at no cost to any individuals or groups who find themselves in need of assistance. Following the migration to the 2 Tier Digital VHF System, the Holme Valley Mountain Rescue Team now has a digital repeater site which covers a huge area of their operational patch and which provides clears digital communications, a fundamental requirement which helps make the search and rescue operations as efficient as possible. At the time of writing, the HVMRT has responded to sixty-six incidents in 2018 alone, no small feat when you consider that it receives no government funding, instead relying on the support of companies and individuals.